Causal modeling is an up and coming field at the intersection of statistics and machine learning which seeks to discover which features are most responsible for the decisions of ML algorithms. 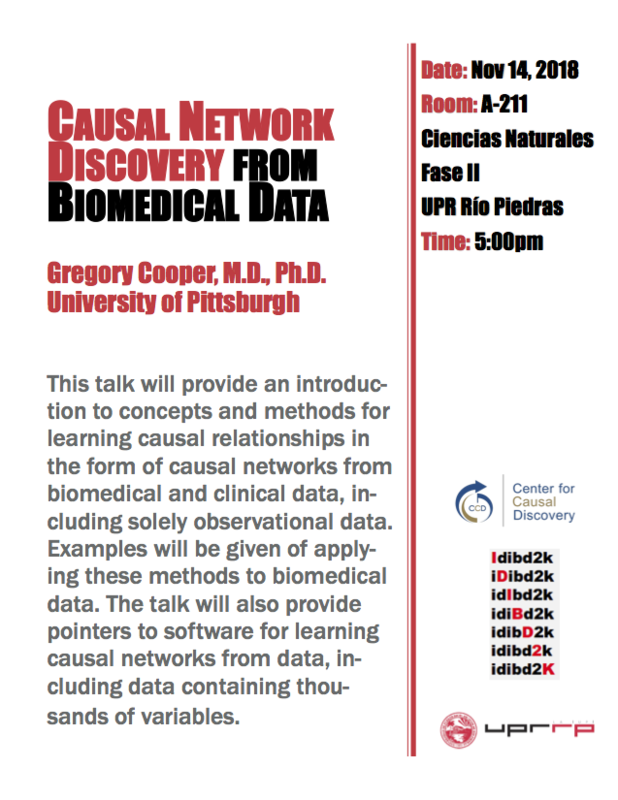 This talk will provide an introduction to concepts and methods for learning causal relationships in the form of causal networks from biomedical and clinical data, including solely observational data. Examples will be given of applying these methods to biomedical data. 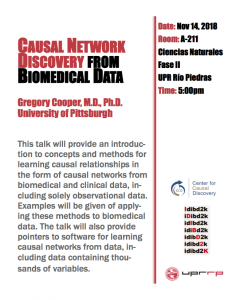 The talk will also provide pointers to software for learning causal networks from data, including data containing thousands of variables.